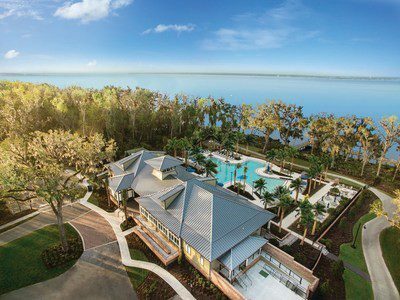 JACKSONVILLE, FL – Mattamy Homes, the largest privately owned homebuilder in North America, announced today it is introducing its first age-restricted community serving the needs of the active adult market. WaterSong will be located within Mattamy’s successful RiverTown master-planned community located along the St. Johns River, in St. Johns County, Florida. RiverTown, which boasts impeccable views of the picturesque river, miles of winding walking and biking trails, country club style amenities and is just a short drive from Jacksonville’s world-class sports, arts and entertainment. The decision to add WaterSong to the thriving RiverTown community continues to reinforce Mattamy’s strong commitment to Florida and the US with this major commitment to the thriving active adult market. For more information regarding WaterSong, visit RiverTownFlorida.com, sign up for updates and follow us on Facebook and Instagram @rivertownflorida. Mattamy Homes is the largest privately owned homebuilder in North America, with a 40-year history of operations across the United States and Canada. Every year, Mattamy helps more than 7,000 families realize their dream of home ownership. In the United States, the company is represented in 10 markets –Charlotte, Raleigh, Phoenix, Tucson, Jacksonville, Orlando (where its US head office is located), Tampa, Sarasota, Naples and Southeast Florida – and in Canada, those communities stretch across the Greater Toronto Area, as well as in Ottawa, Calgary and Edmonton. For more information, visit www.mattamyhomes.com.